Any child, ages 7-11 years at the time of the annual camp experience, who has been impacted by a family member’s incarceration, is eligible. Fill in our online form, and we will contact you to answer your questions and help you get started in participating in our programs. Or, print and mail an inquiry form. Download the 2019 Amazing Grace camper application. 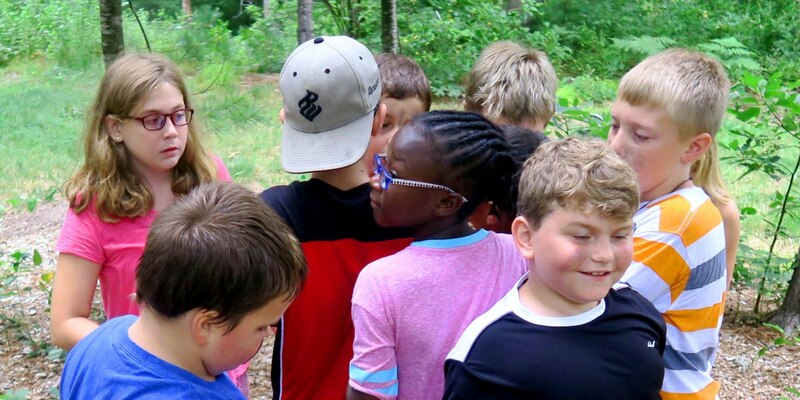 Amazing Grace of Cape Cod Inc.
Amazing Grace's 2019 camp runs from Sunday, August 18, 2019 to Friday, August 23, 2019. Amazing Grace is being offered at Camp Burgess through a partnership between the South Shore YMCA and the sponsors of the camp. Camp Burgess is located at 75 Stowe Rd, in Sandwich, Massachusetts. The children will have an amazing experience that includes water activities (swimming, canoeing and more); creative arts (drawing, painting, and crafts); high and low ropes courses, pick-up sports (basketball, volleyball, tetherball); gaga ball (a fast paced dodgeball-like game played in a pit); music (guitar, singing around the campfire); exploring nature; learning about farm animals (rabbits, goats, chickens); and other outdoor activities. All of the campers' expenses will be provided. There is no cost to the camper or the family, and all campers will receive necessary supplies. There is no obligation to the family. Where will the campers eat and sleep? Separate boys' and girls' tents will provide safe, dry and adventurous quarters for the children. Two adult supervisors will be in each tent. A modern food hall provides large nutritious meals for all campers.